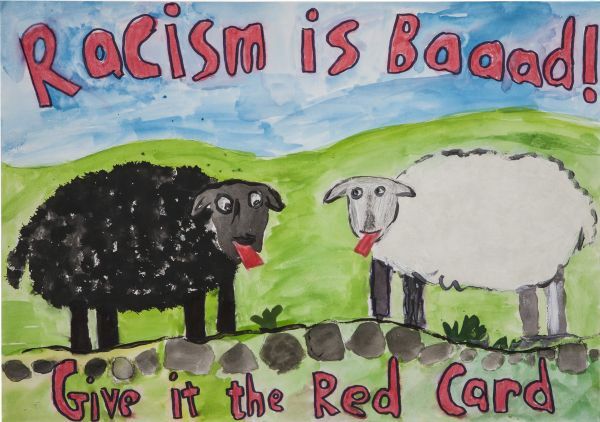 Show Racism the Red Card (Scotland) is pleased to announce the lucky finalists for our annual anti-racism/ anti-sectarianism competition. This year we had more than 1600 entries, with over 4500 young people participating from all over Scotland. Our judges had a very difficult time deciding on the finalist due to the high standard of work being entered. All the staff at Show Racism the Red Card were delighted to see the commitment our young people have to anti-racism and anti-sectarianism. Young people in Scotland showed that racism and sectarianism really has no place in their Scotland.